A poll carried out for CAMRA, the Campaign for Real Ale, in Spring 2014 showed that people in the UK are five times more likely to believe that wine is healthier to drink than beer. A survey of 1000 people showed that 67% thought wine drinking is most healthy, compared to only 13% for beer. “The difficulty of measuring the effect of drinking on health is that differences can be masked by other aspects of lifestyle, such as smoking, diet and exercise. A paper from the Harvard School of Public Health in the USA re-analysed the results from a large number of previous studies from around the world to take these differences into account. This research showed strong evidence that moderate consumption of any alcoholic drink is linked with a lower risk of heart disease and that most of this protection comes from the alcohol rather than any other component in the drink”. 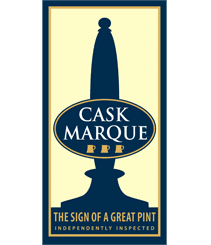 Colin Valentine, CAMRA Chairman said “Recently I met a friend who was rather grumpily nursing a glass of red wine having been told that it was better for him than the real ale that he loves. It’s good to be able to reassure him that this is nonsense; in moderation, beer is just as healthy as wine.